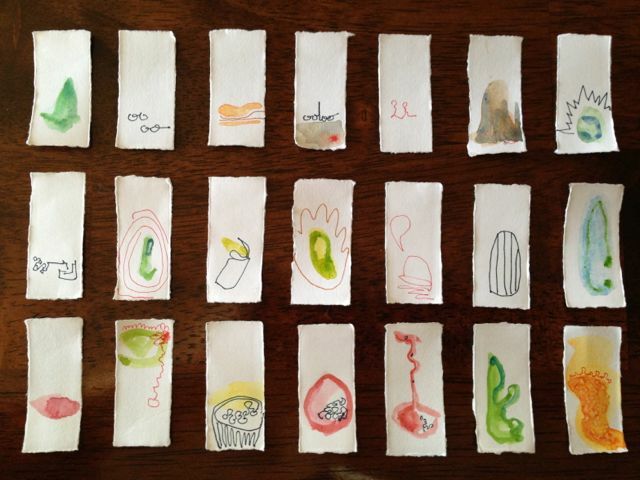 Today, I made a series of watercolor and ink drawings that fit into a Jila mint box given to me on our Qantas flight from Oz to the States. 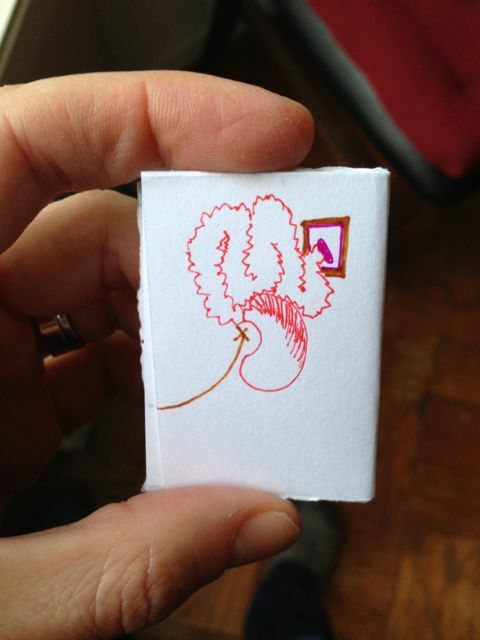 There are 21 drawings (plus a legend explaining each one) about first discovering Jila mints. It is a “story” about the trip to the convenience store, discovering the mints, and the experience of tasting them. While I was — in a way — illustrating this story, I wanted to keep each drawing abstract. I am beginning a year-long goal of making a project a day. It’s been way too long since I made work on a regular basis, and I really miss it. Since the birth of our son 12 weeks ago, it seems that time is moving in fast-forward, and I have this sense of urgency — that I don’t want to lose or waste time anymore. So starting today, I’ll be making a project per day, something small that can fit in my hand. Today, I made a little book from one sheet of paper, with no sewing or gluing.